As a consumer, if you don't agree with the "philosophies" of a business, there are a few methods for retaliation on that business. One- Stop giving the business your money, hoping that you can financial hurt them into changing their "philosophies". Two- Discuss your grievance with the owners/managers of the business hoping direct communication will change their "philosophies". My favorite method is normally #1, but King Soopers is too large to be affected by the loss of my business, so I opted for #2 and a slightly less damaging variation of #3. I tipped their picnic table on end, clearing way for a full rack of bicycles, and discussed my grievance with manager Bob. Bob told me that "no one in Pueblo really rides a bicycle, so why have a bicycle rack that serves bicyclists". I disagreed and told him there were plenty of bicyclists that frequented his store and I bet they would appreciate a nice place to park. 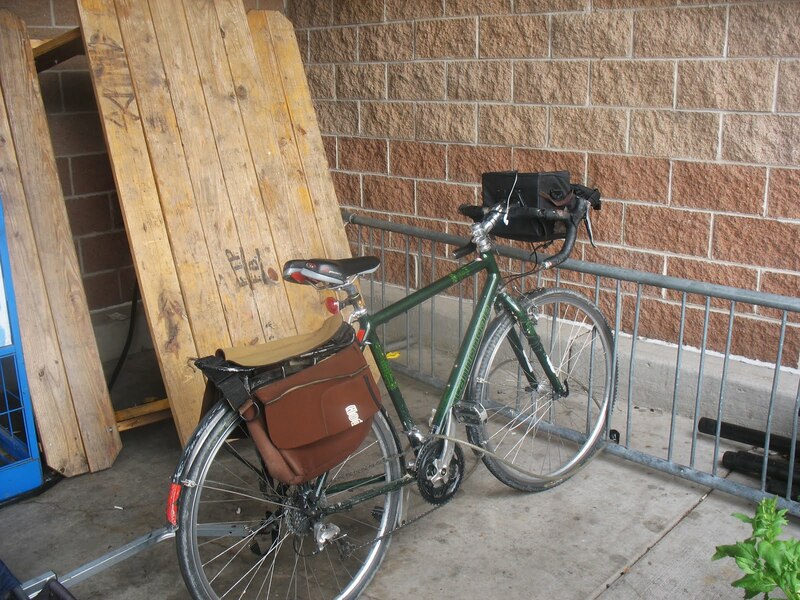 We came to a compromise, he said he would cut the bicycle rack in half and move it to a place that was more open and could actually be used by bicyclists. I thought that seemed reasonable. But to all you other business out there, don't think that I make a habit out of negotiating. Hint to coffee shops that haven't added a bike rack to the bench that was funded by PACE grants. Ryan-I have talked to the same manager (twice) about King Sooper's dangerous pedestrian access through the parking lot and I was told Eisenburg Arizona Property is the property manager. He said KS couldn't do anything about the parking lot design or improvements. Glad you got a better solution for your parking space.